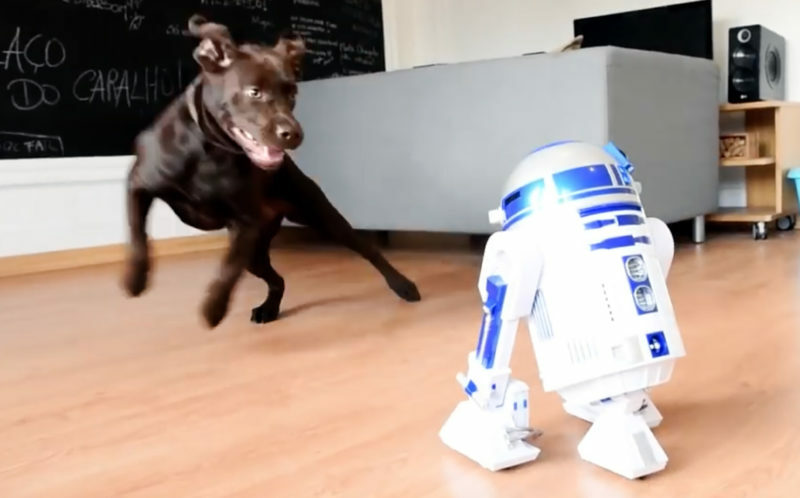 Labrador hilariously runs rings round R2-D2 playmate! 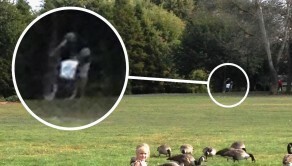 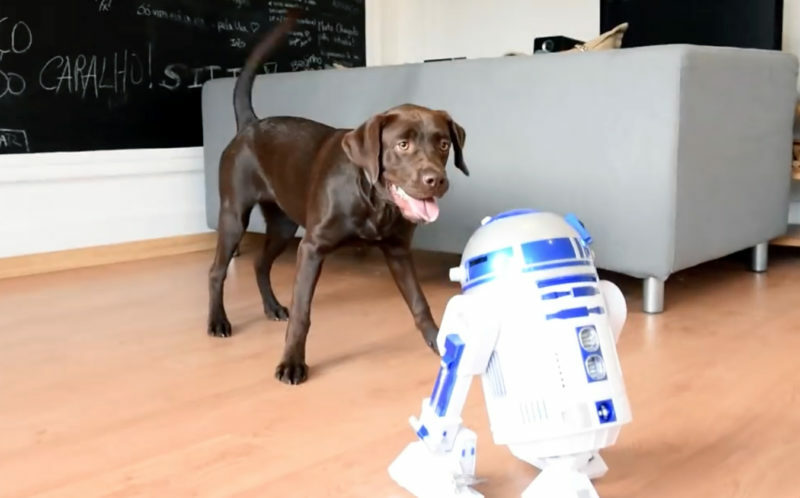 WATCH as a lovable Labrador plays chase with an R2-D2 robot on her first meeting with the homemade Star Wars character. 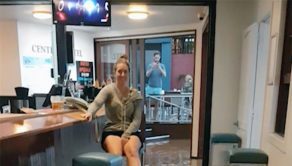 Filipe’s seven-year-old pooch, Uva looks to be having the time of her life galloping round the living room and under the kitchen table. 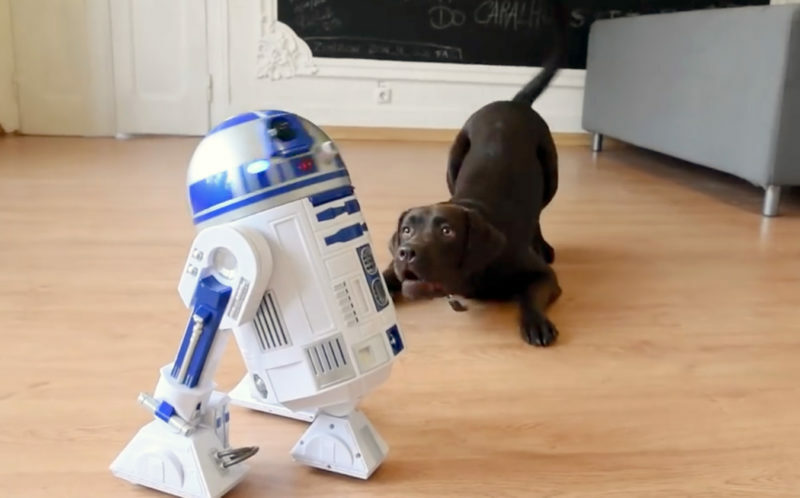 Filipe said: “This was the first time Uva met a robot like R2-D2 so like any dog would be, she was really surprised to see it moving about and even following her. 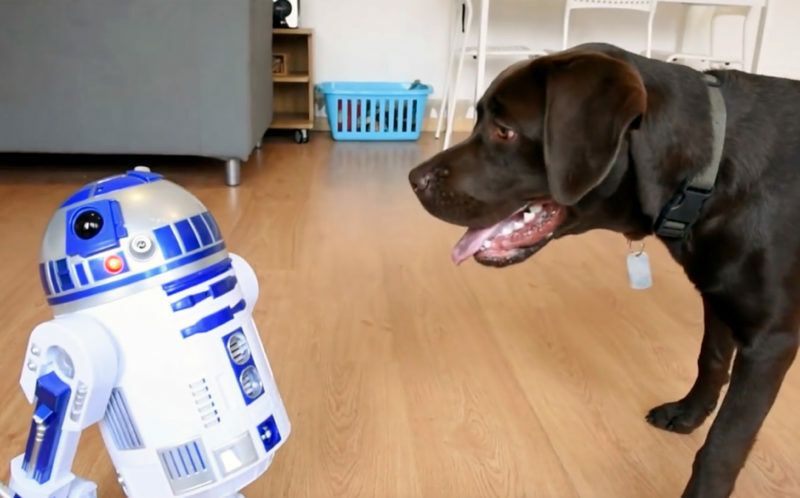 “I created an R2-D2 because I’m a huge fan of Star Wars and this robot is perfect to make this kind of interaction with my dog. 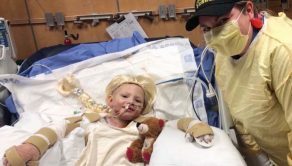 “I think Uva must be a fan of Star Wars because she loves playing with a similar robot of BB-8 and reacted very well to the Chewbacca mask. “Uva goes mad for any toy, fruit tasting and especially gift opening at birthdays and Christmas. 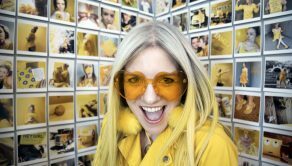 “This is a sequence of several videos I’ve already made, what I really want to show is her reaction to several things that stimulate her.